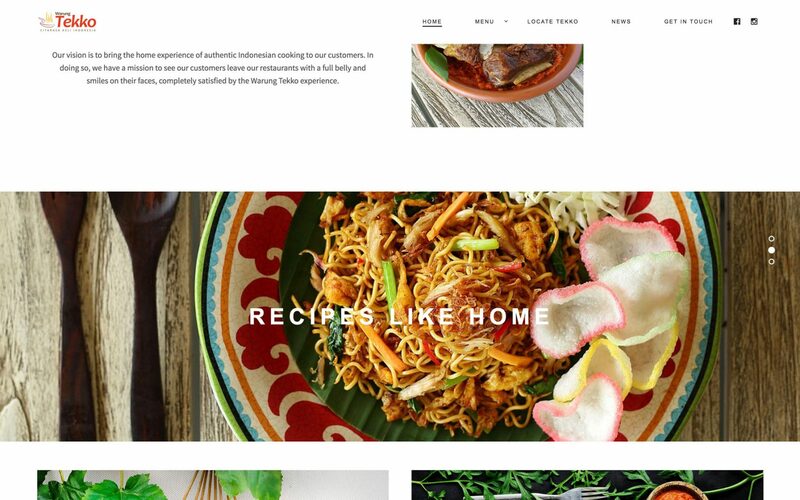 VERY gave Warung Tekko’s new website a brand new, fresh, and responsive look. We also included a useful store locator, GPS based, for visitors to have easy directions to the closest restaurant. 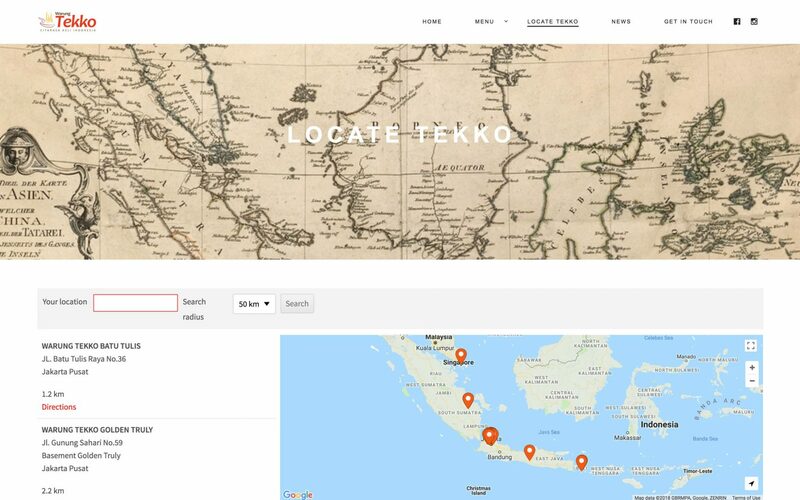 The first Warung Tekko was opened in 2008 in Pantai Indah Kapuk – North of Jakarta, Indonesia. The group now has over 80 outlets.